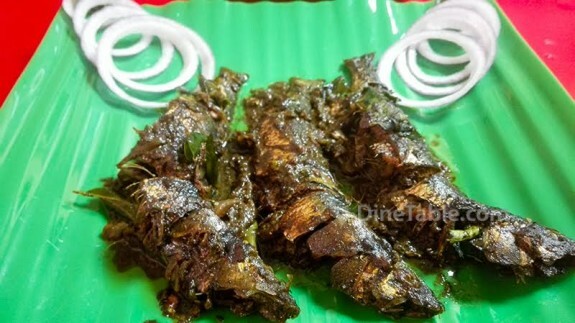 Sardine Dry Gooseberry Gravy Recipe / Mathi Unakka Nallikka Piralan / മത്തി ഉണക്ക നെല്ലിക്ക പിരളൻ is an excellent tasty & spicy Kerala style fish recipe. 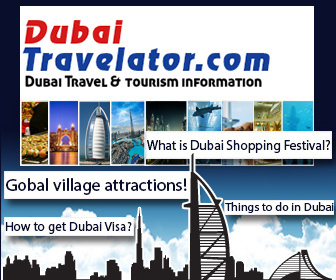 It is not only the taste of the recipe which is important, while the dish is full of healthy content. Sardine is rich in Vitamin B12 which is good for treatment of cardiovascular disorders and Vitamin D required for bones. There are many other nutritional components also associated with Sardine. Gooseberry or Amla berries are exceptionally high in anti-oxidants and vitamin C. Coconut oil also have many health benefits unless other oils when heated will change their behavior. 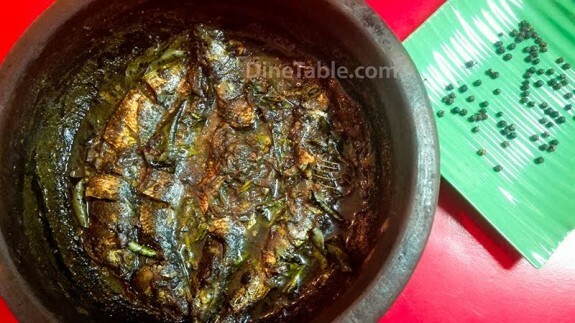 Hope you all try this spicy Kerala style fish recipe / Sardine Dry Gooseberry Gravy Recipe / Mathi Unakka Nallikka Piralan / മത്തി ഉണക്ക നെല്ലിക്ക പിരളൻ. 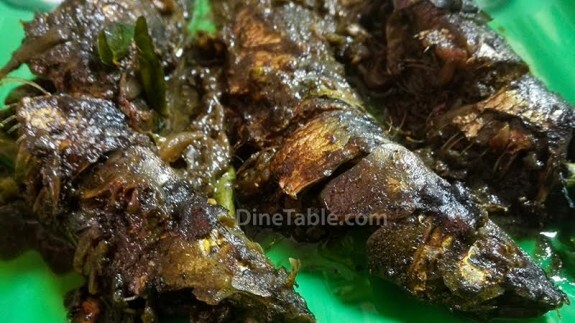 Tips: Keep Sardine Dry Gooseberry Gravy / Mathi Unakka Nallikka Piralan for atleast 1 hour before you serve. This will help the gravy to fully stick on to the fish. 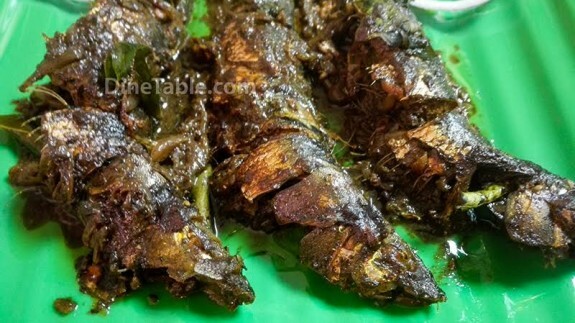 Click here for other Kerala Style Spicy Fish Recipes..
Clean sardine and keep aside. Heat a clay pot and add 2 table spoon coconut oil. To the heated oil in the clay pot add fenugreek seeds and fry. Once fenugreek seeds become black, saute finely chopped shallots, green chill & some curry leaves. Meanwhile the shallots gets sauted, grind gooseberry soaked in water and black peppercorns adding required water to make a thick paste. Once shallots are sauted, add the gooseberry and black peppercorn thick gravy to the clay pot. Add salt. Saute well and add 1/2 cup water. Allow to cook for 1 minute. Place sardine one by one into the clay pot. Coat sardine with gravy. Reduce flame and allow to cook for 10 minutes with lid closed. After 10 minutes increase the flame and evaporate excess water so that the gravy is thick and stick on sardine. Switch off the flame and season with 1 table spoon coconut oil. Sprinkle some curry leaves on top. Tasty Sardine Dry Gooseberry Gravy Recipe is ready.